Many people think that the process of roof replacement is full of hassles and an expensive affair. However, this notion is quite far from the actual truth. The roof also has a certain life span. After a certain period, it needs repair or replacement. This is because snow, hail, rain and other weather phenomena can cause harm to the roof to a large extent. Undoubtedly, the roof is an important part of any building. It protects us from harsh weather and other misfortune. It acts as a protective shield and keeps us safe and protected. A minor harm can make it difficult and dangerous. To avoid this danger, it is vital to get it check it regularly to avoid big repair and replacement. When the roof needs replacement it is high time to consult professionals in Murfreesboro who are experienced in carrying out the replacement process. As a replacement of a roof is a big decision, so it should take wisely. When you are all prepared to get your roof replaced, there are many companies that will be happy to serve you. But as the process of roof replacement is quite complicated it is vital to take the assistance of a good and reputed company like Beneficial roofing. We cater to every roofing need and provides the best solutions. It becomes vital when your roof is affected by moisture and dampness. This gives birth to mold, which is very harmful to your health. Beneficial Roofing company provides every solution and replaces your building roof by proper means. When looking for Roofing replacement in Murfreesboro, ensure that the company you are going to hire is us, We friendly and very willing to work for the people of Murfreesboro, We have experts and properly insured personels. It is therefore wise of you as a resident or business person in Murfreesboro to always opt to call Beneficial Roofing for any roofing issue or even roofing inspection. There are a lot of benefits that roof replacement offers you. The first and the most important one is your safety. As it gets older and weaker with time, it can fail to protect you from the weather elements. If it has already started leaking then even the stuff inside your home can get damaged beyond repairs. Moisture and dampness encourage the growth of mold which in turn can be very harmful to your health. You are probably not aware of the fact that if you breathe in mold spores for a long period of time, you can get exposed to the risks of long-term ailments. Now, just imagine the amount of money you would have to shell off to meet the medical expenses! Scared already? Well, that is exactly why you should seek the assistance of the professional roof replacement services from the Beneficial Roofing. The next benefit is that your property, after the replacement of the roof will be able to fetch a better resale value if you ever think of shifting to another place. Buyers are always keen on dry and healthy homes which have no leaky roofs or flooded basements. That is why if you get a roof replacement done, your chances of getting a higher price on your home can be ensured. This is the first thing that will indicate whether your roof requires repair. Every roof type has its own lifeline due to the material used to make it, climatic conditions, and the quality of the installation. For example, barrel tile roofs like we have in Coral Springs tend to last for about 15 to 20 years. Therefore, you need to ask yourself how old your roof is since installation. If the answer to this question exceeds 15 years, then you may need to consider roof replacement. Before making that decision, call a roofing professional like Beneficial Roofing and get and inspection and an estimate of how much it will cost. The other indicator is determining whether your roof needs replacement is missing tiles. For example, with barrel tile roofs you can check whether tiles are loose, broken, or missing. These barrel tiles are very important when it comes to protecting your roof from the sun’s ultraviolet rays and enhances the roof’s water-shedding features. To determine whether the tiles are broken or missing, you need to get on your roof for a thorough inspection. You can also check the ground underneath the roof to see if there are any broken tile parts that have fallen. 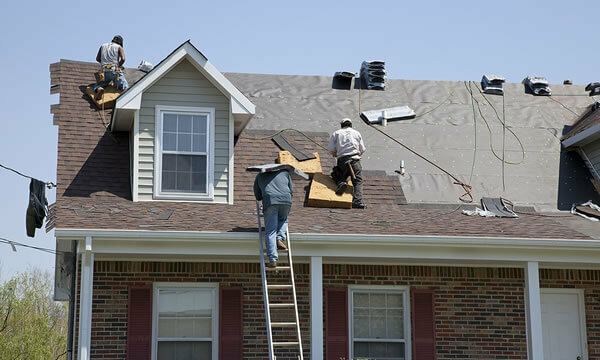 The best decision is to get a roofing contractor like Beneficial Roofing to inspect your roof. It can be very dangerous on a rooftop and for the small investment required for a professional, it is not worth the risk. The other big indicator is wood rotting. Roofs tend to grow old gradually and equally. However, there are other factors that tend to increase the roof’s aging rate. These factors include water damage, decay, and termites. Water damage is usually brought about by clogged gutters which stall water flow, so the roof is exposed to water for prolonged durations of time. You should have regular inspections of your gutters to ensure they work optimally. For termites, you need to check the roof for any signs of termite infestation, especially in your roof’s wooden parts. Finally, decay from the hot sun causes rot which compromises your roof. With all the rain, tropical storms, and hurricanes, an annual roof inspection is a wise investment. The other key indicator that is quite common and obvious is roof leaks. Roof leaks. Any small leaks require spot repair. The key indicator that your roof is leaking would be ceiling spots. These are persistent stains that scar your ceiling. The extent of the spots will determine whether you need to carry out roofing repair or roof replacement. If your ceiling is host to a number of leaks then it is time to consider replacing your roof. If your roof is starting to buckle then that is serious. Roof buckling is when your roof’s shingles are folded up and is usually due to a poor roof installation and aging. This can be observed even without going up on the roof. When your roof is buckling, you have no other option but to replace it. don’t wait for your roof damage to worsen, call us today to get a free inspection and we promise to provide you the best available services in the market today.